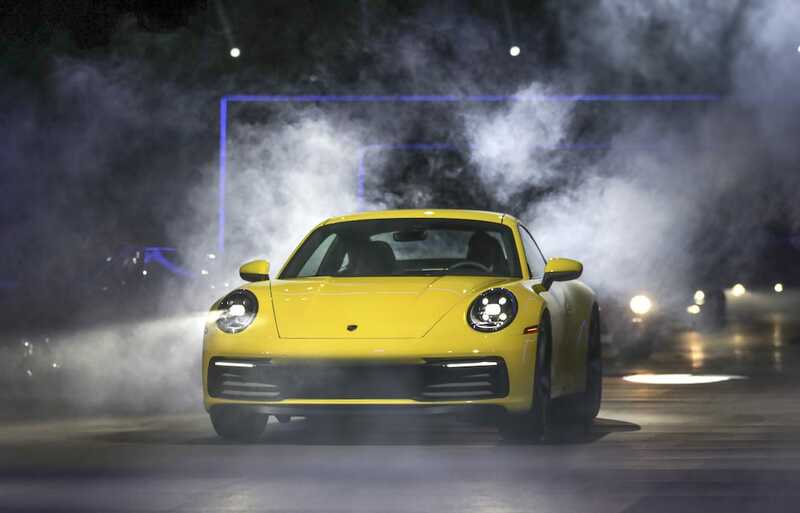 The flat-six is more powerful than ever, putting out 443 horsepower in the S and Carrera S models. The boost in power – 23 hp – comes from an improved fuel injection process and a new turbocharger and intercooler layout, according to the automaker. This increased power finds its way to the ground courtesy of a new eight-speed, dual-clutch transmission. Yes, this does improve the cars’ 0-to-60 times. The Carrera S Coupe needs just 3.5 seconds to reach 60 miles per hour while the 911 Carrera 4S Coupe with all-wheel drive takes only 3.4 seconds. Both cars are 0.4 seconds faster than their previous model. This advantage is increased by a further 0.2 seconds with the optional Sport Chrono Package, to 3.3 seconds for the Carrera S and 3.2 seconds for the Carrera 4S. Tennis pro Maria Sharapova, left, and former Formula One racer Mark Webber introduce the eighth-gen Porsche 911. The top track speeds are now 191 miles per hour (911 Carrera S) and 190 miles per hour for the all-wheel-drive version, Porsche says. And for those of you old schoolers, there is good news — a manual transmission will be offered at a later date. The exterior gets some minor tweaks with the wheels moved under even wider housings than the previous generation, further highlighting the aggressive look of the car. The front and the rear of the car have been widened to account for updated equipment. The rear is dominated by the significantly wider, variable-position rear spoiler and the seamless, elegant light bar which is now a feature on both two- and four-wheel drive variants. With the exception of the front and rear fasciae, the entire outer skin is now made of aluminum, Porsche notes. The completely new interior features the “clear and straight lines of the dashboard” including recessed instruments, which is a nod to the Porsche 911 models from the 1970s. On either side of the centrally positioned tachometer, two small displays provide the driver with information. The PCM can be operated quickly and intuitively thanks to the new architecture. Located underneath the screen, a compact switch panel with five buttons provides direct access to key vehicle functions. In terms of digitalization, the 911 is more connected than ever before thanks to new functions and services. The standard PCM system features Porsche Connect Plus including online traffic information based on swarm data, according to the company. 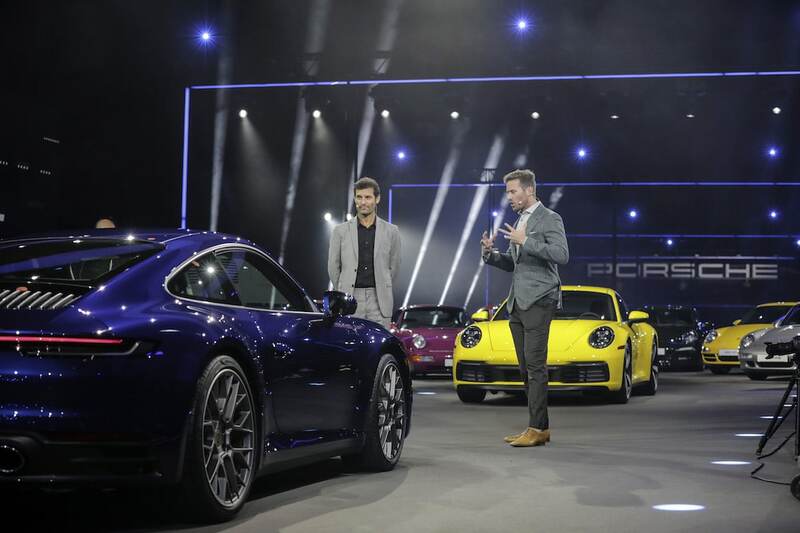 Webber, left, and actor Armie Hammer discuss the Porsche 911 Carrera 4S. This new technology expands to other areas aimed at helping the driver remain in control. New assistance systems such as the standard Porsche Wet Mode for increased driver awareness on wet roads, and the optional Night Vision Assist with a thermal imaging camera, are part of the broadened array of available active driver assistance features. The new Porsche Communication Management (PCM) with a larger 10.9-inch touchscreen display (up from 7.0 inches in the previous car) and comprehensive connectivity, optional Adaptive 18-way Sport Seats Plus with improved lateral support, re-tuned PASM dampers, and extended digital features all ensure greater comfort and everyday usability. Of course, if you’re looking for a faster 911, the new Porsche 911 GT2 RS Clubsport is an option. Debuting at the aforementioned L.A. Auto Show, the 700-hp racing version of the street-legal 911 GT2 RS sports car is available. 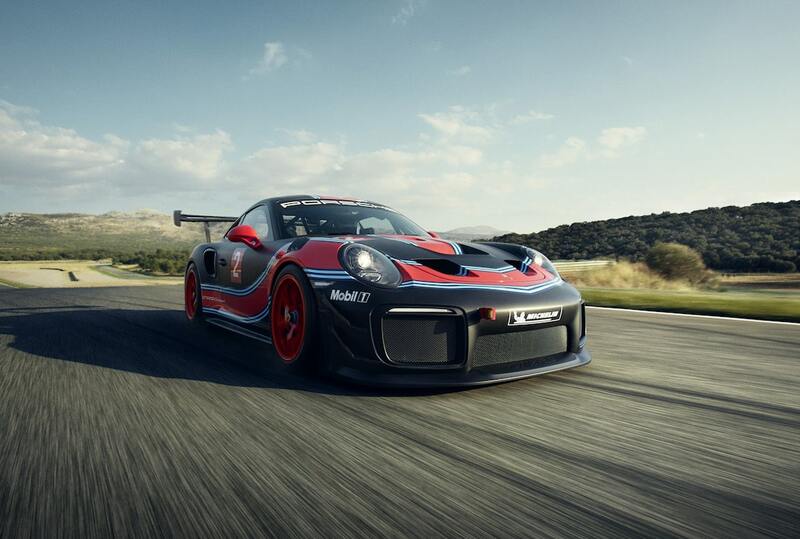 The new Porsche 911 GT2 RS Clubsport gives 200 Porsche owners a race-ready rocket. However, you’ll need to act fast as production is limited to 200 units globally. Buying this new 911 means you are race ready, eligible to run at clubsport events, Porsche Club of America (PCA) track days as well as selected motorsport meets. 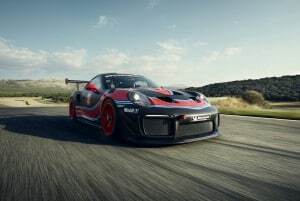 “For the upcoming years, our customers will not only race the GT2 RS Clubsport during open track days but also at international motor racing events. We are currently holding very productive talks with the race organizer SRO,” said Frank-Steffen Walliser, vice president Motorsport and GT Cars. The new race car feathers the same engine as its road-legal relative: a state-of-the-art 3.8-liter flat-six twin-turbocharged engine. However, specialized equipment and lightweighting efforts get that power down much faster. Suffice it to say, a built-in safety cage combined with a racing bucket seat and a six-point safety harness ensure maximum safety. For those looking for a little bit of comfort, air conditioning provides optimal interior cooling. The new Porsche 911 GT2 RS Clubsport carries a MSRP base price of $478,000, excluding tax, shipping, and import fees. Customers can expect to begin to receive their vehicles beginning in May 2019. This entry was posted on Thursday, November 29th, 2018 at and is filed under Asia Pacific, Auto Shows, Automakers, Automobiles, China, Europe, Executives, Los Angeles, Markets, Motorsports, NAFTA, Personalities, Porsche, Racers, South America, Sports Cars, U.S./North America. You can follow any responses to this entry through the RSS 2.0 feed. Both comments and pings are currently closed.